The following is a guest post written by Kyle Green and Alex Manning. Kyle and Alex are sociology Ph.D students at the University of Minnesota. Kyle is a member of The Society Pages graduate board and co-host of the Office Hours podcast. His research focuses on culture, sport, gender, and the body. Alex researches race, youth, parenting, and sport. This World Cup, soccer is on American’s minds at levels never reached before. Fans are filling bars, coffee shops, and even massive stadiums to cheer on the US national team. World Cup fervor has led many in the U.S. media to ask the once every four-year question, “has soccer made it in America?” Large television numbers, a sizeable number of American fans supporting in Brazil (Americans bought 7% percent of world cup tickets, only trailing Brazilians), large participation numbers, and increased youth consumption of the game, have all contributed to public discussion about the game’s popularity and place in the United States. While there has been much excitement surrounding soccer and the World Cup, some have reacted to the popularity of the tournament with fear, dismissal, and outrage (here and here). Audience: This activity would work well in a number of courses including Introduction to Sociology, Race, Class, & Gender, Sport & Society, and Sociology of Consumption. Summary: In this activity the class works together drawing on personal experiences and associations with soccer to think about the social spaces the sport fills and to connect the participation and consumption patterns of the sport to larger social trends. In doing so the students will use their sociological imagination to begin to understand the fervor, both positive and negative, surrounding the World Cup. Alan Tomlinson, Andrei S. Markovits, and Christopher Young. “Introduction Mapping Sports Space.” American Behavioral Scientist 46, no. 11 (2003): 1463-1475. While not the easiest article, it provides an excellent introduction to the ways that sociologists have discussed the relationship between sport and society and how sports, including soccer, come to occupy particular cultural spaces. David L. Andrews, Robert Pitter, Detlev Zwick, and Darren Ambrose. “Soccer, race, and suburban space.” Sporting Dystopias: The Making and Meaning of Urban Sport Cultures (2003). This chapter examines the suburbanization of the world’s most popular game. In particular, the authors demonstrate how the growth of the sport in the United States owes much to its appeal to middle-class, white suburban sensibilities. We recommend assigning this reading before class. Andrei S. Markovits, and Steven L. Hellerman. Offside: soccer and American exceptionalism. Princeton University Press, 2014. The book provides a detailed historical contextualization of soccer’s growth, or lack of growth, in the United States. It would be an excellent reading to assign after the discussion or to recommend to students particularly interested in the topic. *We avoid specifically referencing the articles in this activity to make it more accessible to courses that are currently underway or looking for an activity not requiring additional readings. Who played soccer (at any level)? Who plays soccer video games? Get people’s immediate reaction to those numbers. Did the numbers or relationship between the three types of participation surprise anyone in the class? Why? 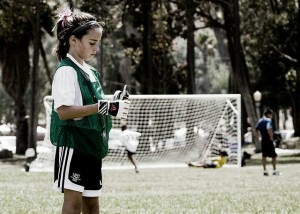 (a)Have some of people who played soccer talk about why either they, or their parents, chose for them to play soccer. (b)Was soccer the only sport they played? (c)How did they think the sport was perceived by others? (d) Did they play the game in a rural, suburban, or urban environment? (e) Did they travel to play the sport? (a) Have some of the people who did not play soccer talk about how they perceived sport. (b) Was soccer perceived as a secondary sport? (c) Was soccer perceived as a less competitive sport? (a) As a group, free associate about the types of people who play soccer in the United States: who comes to mind? Are there particular class, gender, racial, ethnic background, nationality, region of the United States, urban/rural/suburban, and any other characteristics that come to mind. (b) Do you think this description would have fit 10 years ago? How about 20 or 30? What has changed? (a) When you think of the types of people who watch soccer in the United States, who comes to mind? Class, gender, racial, ethnic background, nationality, region of the United States, urban/rural/suburban, and any other characteristics that come to mind. (b) Are there types of soccer fans who consume in different ways? (c) Do you think this has changed? How so? (a) Why do you think the World Cup is more popular and visible now in comparison to the past? (b) Is it soccer as a whole or World Cup soccer that is more visible? Why do you think is soccer seen as a threat and who might perceive it as such? Nationalism and patriotic pride often transcends political allegiances and is particularly associated with more conservative groups. What about this celebration of nationalism different? Did the Atlantic article make any points that you had not thought of before or found particularly convincing? Did the article miss or overstate anything? What might the argument over the place of soccer in the United States teach us about role of sport in society? Do you think soccer will continue to grow (participation and/or fandom)? Will cultural tensions continue to exist? Do you think it could rival or even replace any of the other major sports in the United States? Why or why not? Thanks for doing that research Peter and Richard.